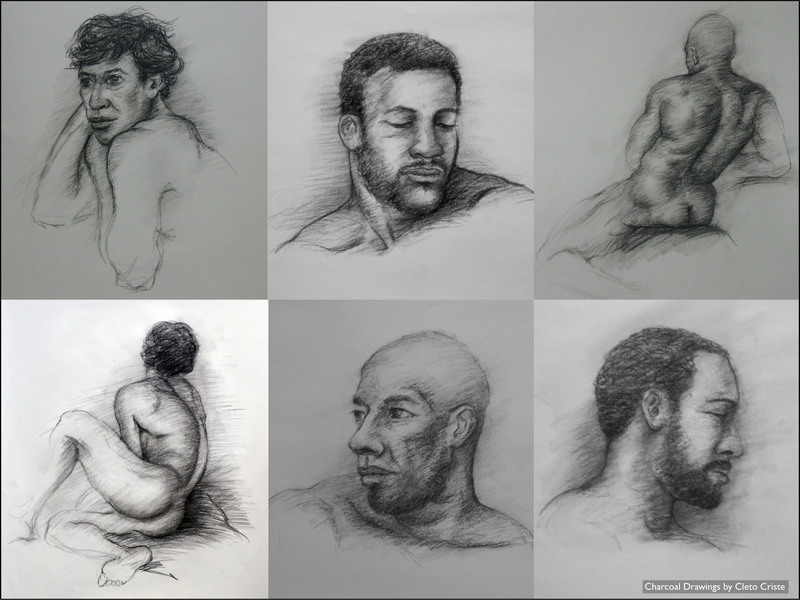 These are twenty-minute charcoal drawings from the Sunday figure drawing session in Honolulu. Twenty minute drawings used to be difficult for me. I almost always fell short of what I wanted to achieve. I’ve since gotten accustomed to this length of time and know how to pace myself to get a reasonably finished drawing. 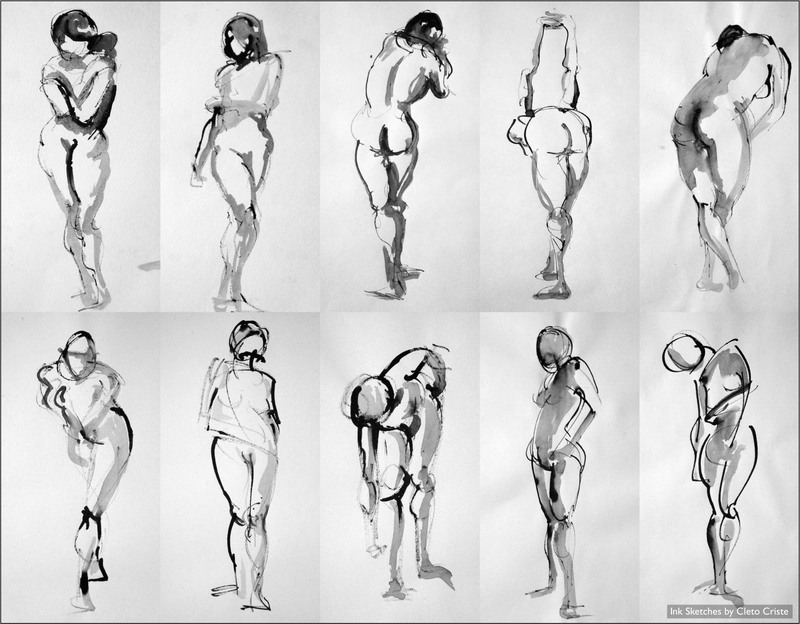 The Sunday figure drawing session begins with ten 2-minute warm-up poses by the model. I like to use ink and wash for these poses because I have to work quickly. 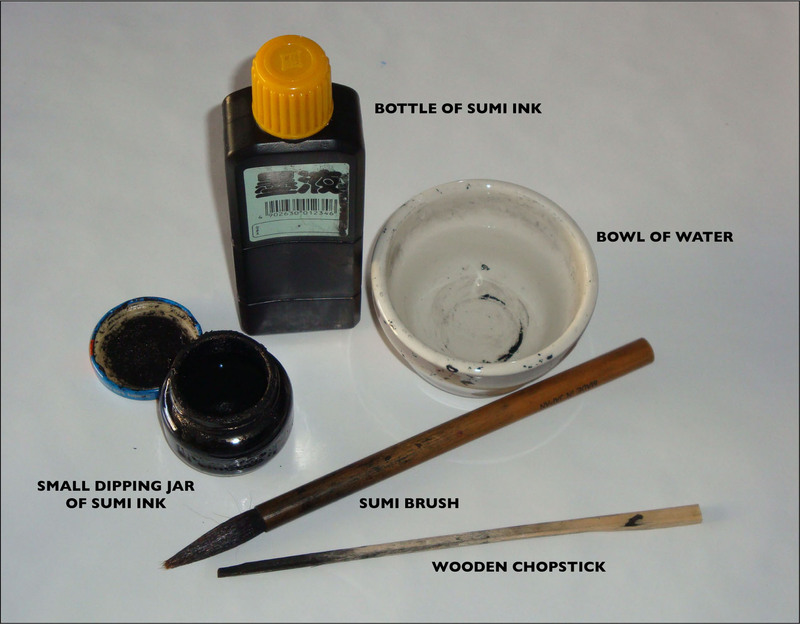 The wooden chopstick dipped in ink works really well to get the lines down, and the sumi brush dipped in diluted ink quickly covers broad areas to indicate the shadows. I’ll also pull ink off the drawn lines with the brush. It’s very expressive and calligraphic like. I learned this method from my figure drawing instructor, Ken Bushnell, at the University of Hawaii. He had us use an ink called Super Quink, but I switched to sumi ink because I could get a really dark black and a wider range of grays. Below are samples of ink sketches that were done within the past two years. 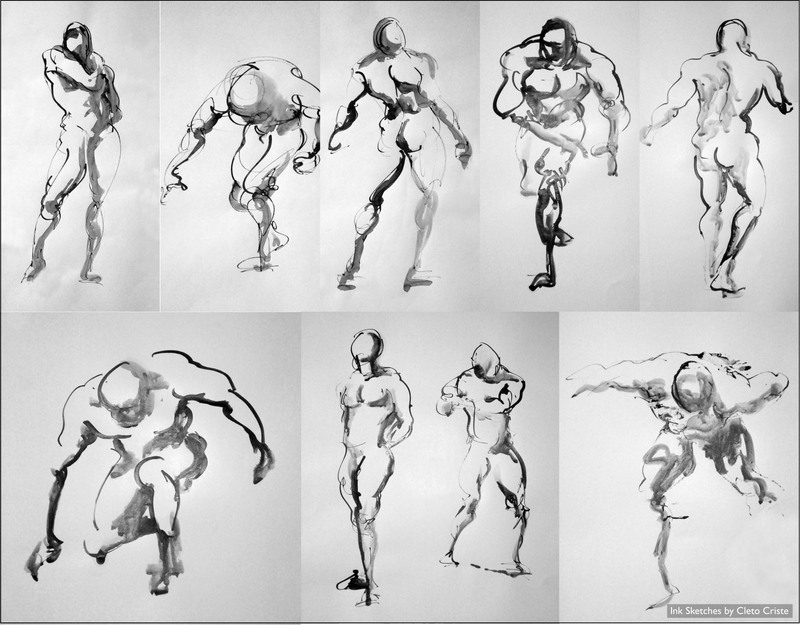 It may take a little practice not to mess up the line work when you’re brushing in the washes but you can get some really nice, expressive figure drawings from the warm-up poses with a brush and a chopstick pen. If you’re on Facebook, you may be able to go to my Ink Figure Sketches album and see additional sketches at a larger size. 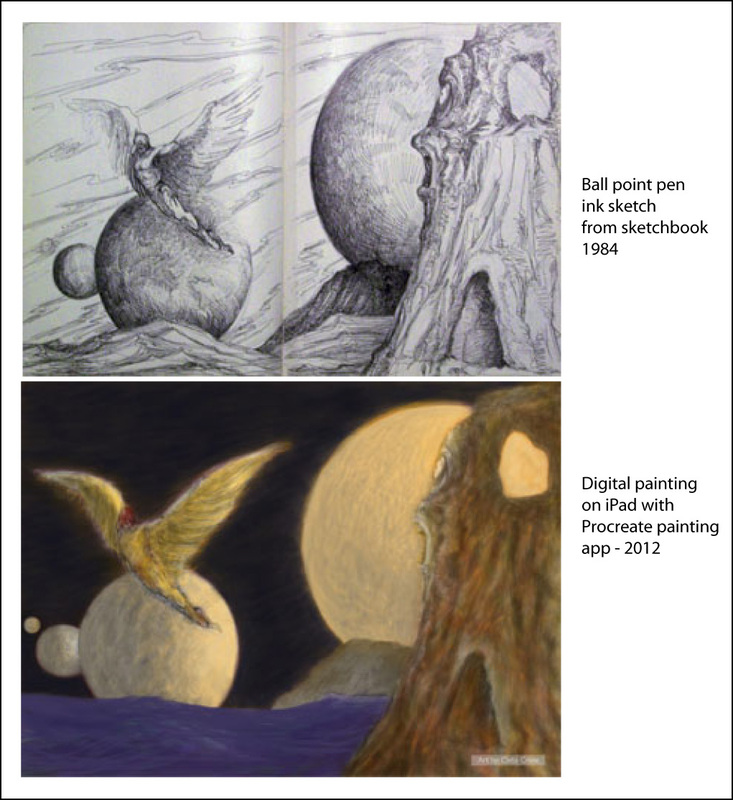 I brought a sketchbook with me while traveling to the Philippines with my dad and younger brother back in 1984. I used one of those classic Bic pens to do my sketching and I did a bunch of fantasy type sketches strictly out of my imagination. 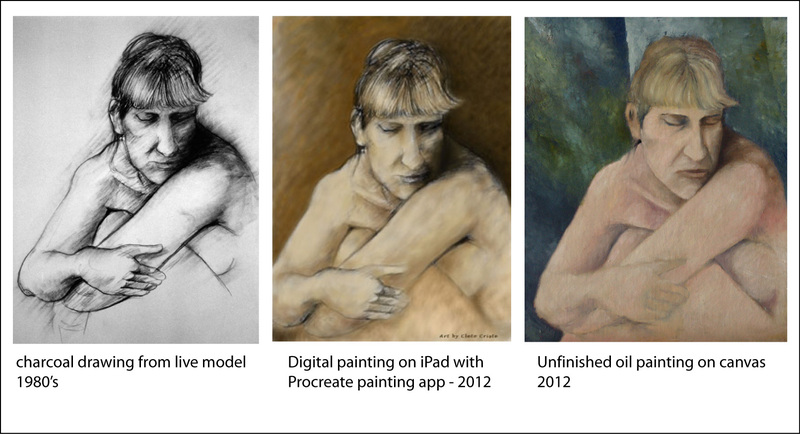 Fast forward to 2012 and it’s the digital age with the iPad and paint apps. I was curious to see how some of those ink sketches would look in color and I was able to work on a couple of them. 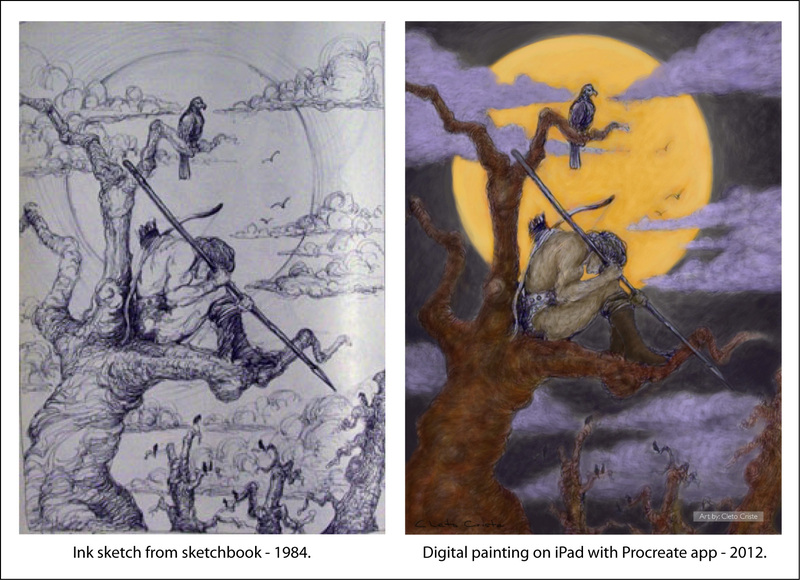 Below are two of the sketches I colorized for fun on the iPad. I was finally able to buy an iPad several months ago and one of the apps I purchased was a digital painting app called Procreate. It was great playing around with it and one of the first projects I worked on for fun was an old charcoal drawing of a female model. I always thought I could turn it into an oil painting. The iPad provided an opportunity for me to see how it could look in color. I was happy with the results. Eventually, the time came when I was able to do an actual oil painting of it on a canvas board. I could have painted it the same way as I did on the iPad but decided to go a bit further than that. The oil painting is still unfinished. I need to finalize the figure and rework the flesh tone and hair. Doing a preliminary digital painting on the iPad can provide an artist a way to try out some color schemes before going to canvas. It can also be fun. This is a second painting from a charcoal drawing that I’m working on. 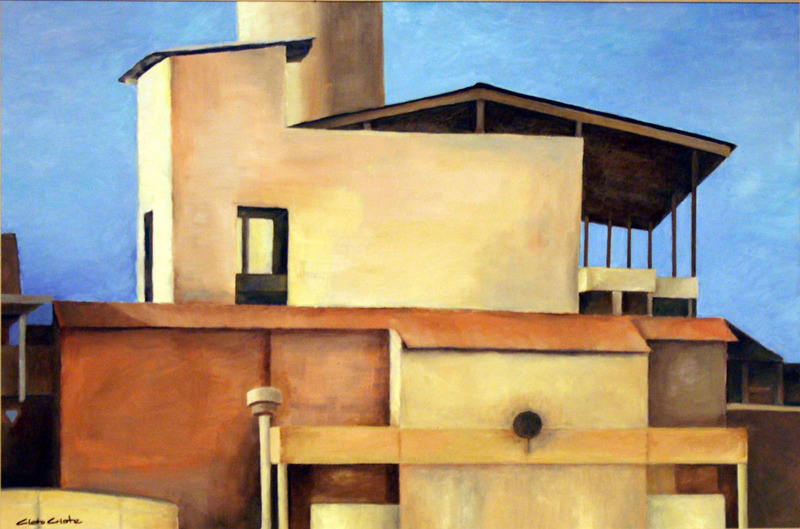 New oil painting completed August 2012. 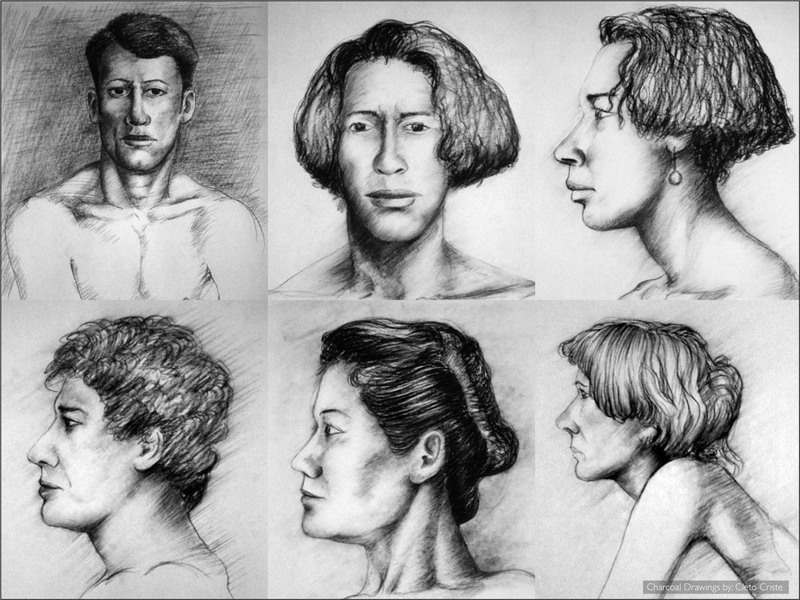 Some of my earlier charcoal drawings of models at a Sunday drawing session. These were done around the 1980’s to 1990’s. I found my own personal style of drawing the human figure/portrait around this time. 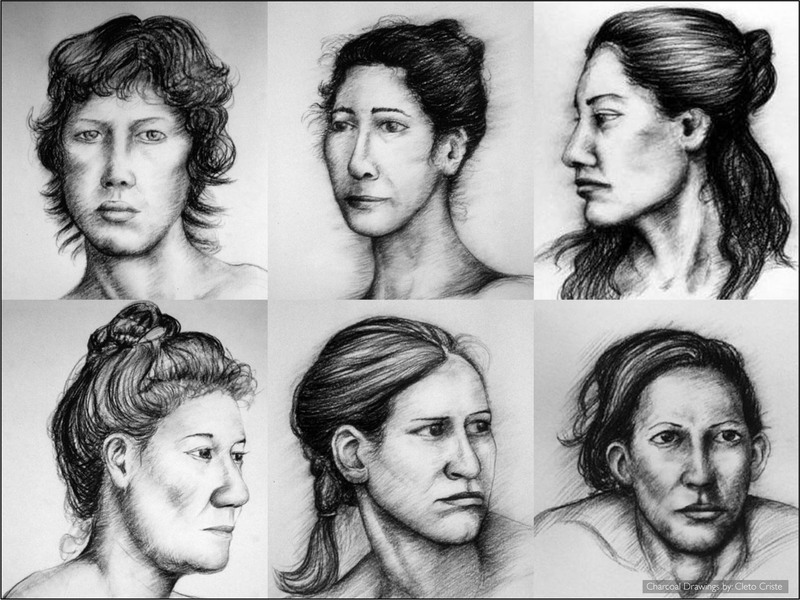 I like to combine fine tonal renderings with hatch lines to define the figure and facial structure. I try to get the widest range of grays, which would include a really strong black area that will grab the viewer’s attention, and to the faintest of lines or tonal areas. At one point, I tried to go mostly tonal, but I felt that the lines add more character and interest to the drawing. 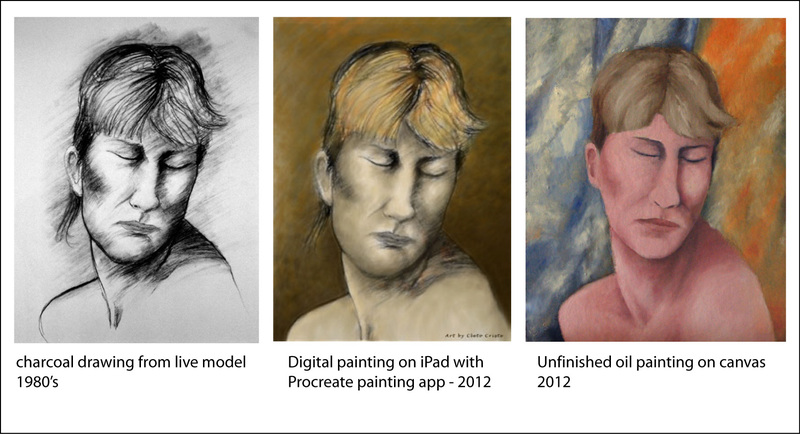 I also paid careful attention to the hair, with the light and shadow areas and the direction the hair flowed. I feel the person’s hair is a very important part of the subject’s identity and adds a lot of interest to the drawing. I try to draw the hair as best as possible and not treat it as an afterthought. There was a really long period when I rarely attended the drawing sessions but I’ve been a regular now for about two years. The human figure will always be my favorite subject and I’m learning each time I study and draw from it.